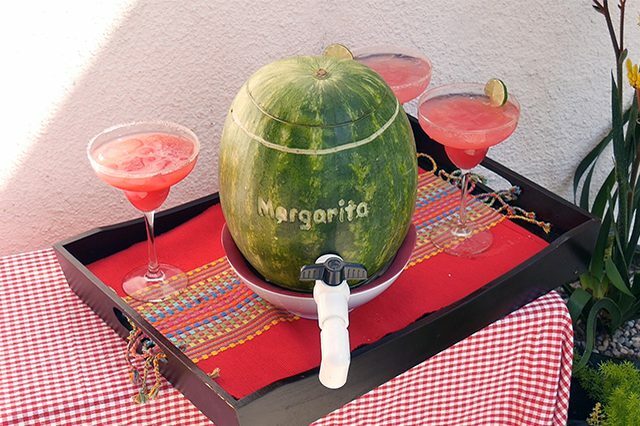 Need a special approach to serve an invigorating, summer drink at your next open air gathering? 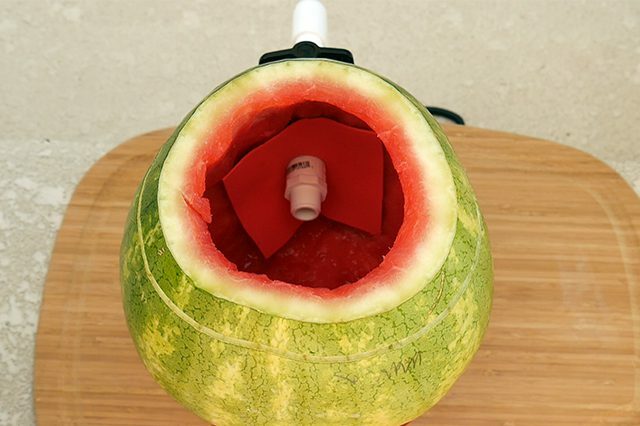 Have a go at making this barrel made from a watermelon and a modest bunch of pipes supplies. 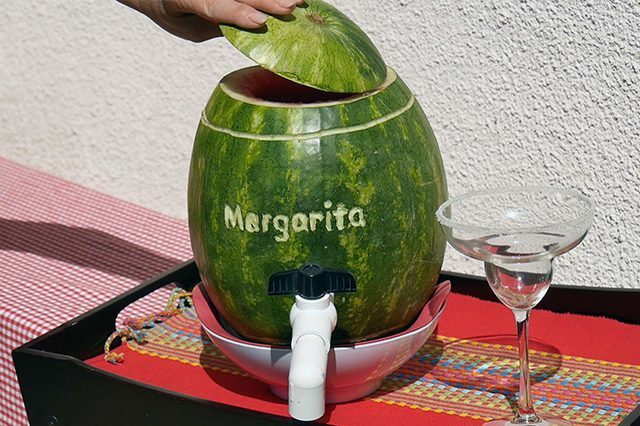 Sit the watermelon upright in a little bowl with the goal that it remains as straight as would be prudent. 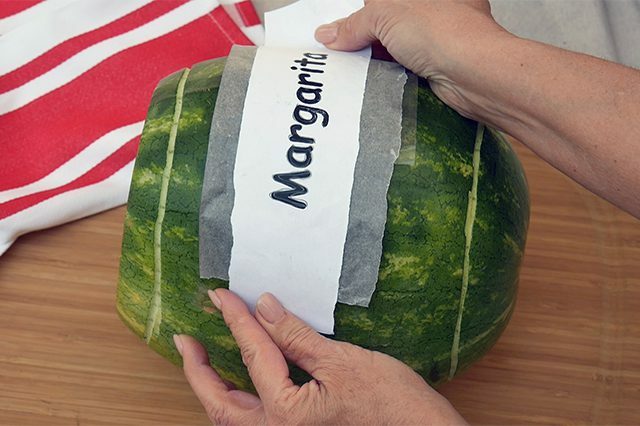 Cut the finish off of the watermelon. 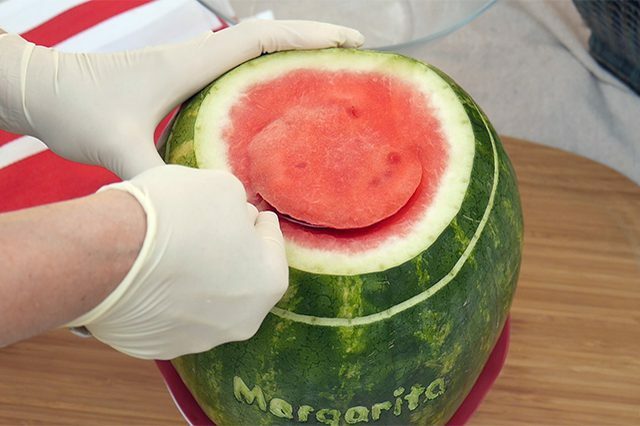 Lay the watermelon on its side and cut a straight line around one inch from the best and another close to the base, utilizing the depression cutter on a zester device. Print out the gave format or make your own particular mark. 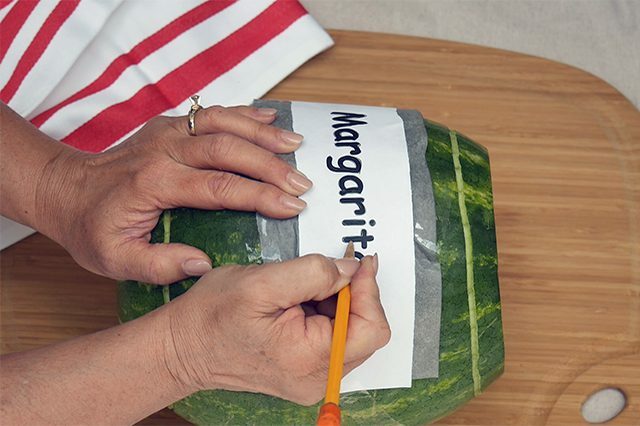 Tape a bit of graphite paper to the focal point of the watermelon and place the format to finish everything and tape it into position. Follow each side of the letters from the format. 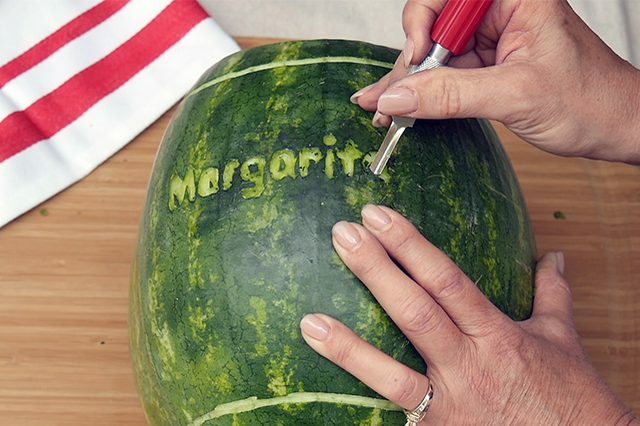 Expel the format and cut the letters utilizing an art cutting blade. 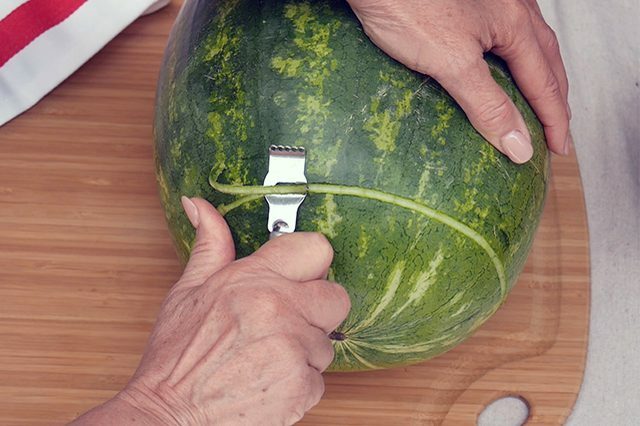 Be mindful so as not to cut too profound. 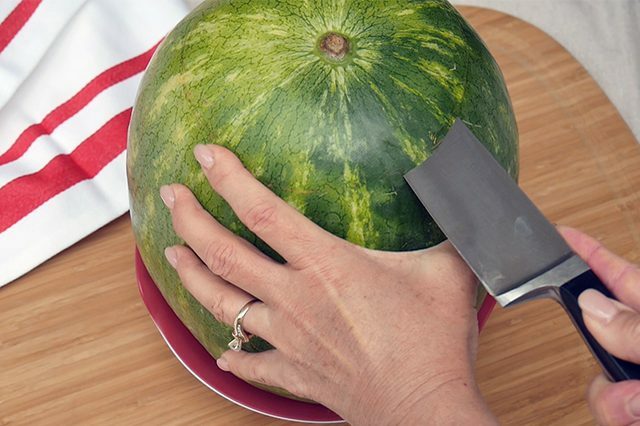 Hand the watermelon upright over the bowl and scoop out the inner parts with a substantial spoon. 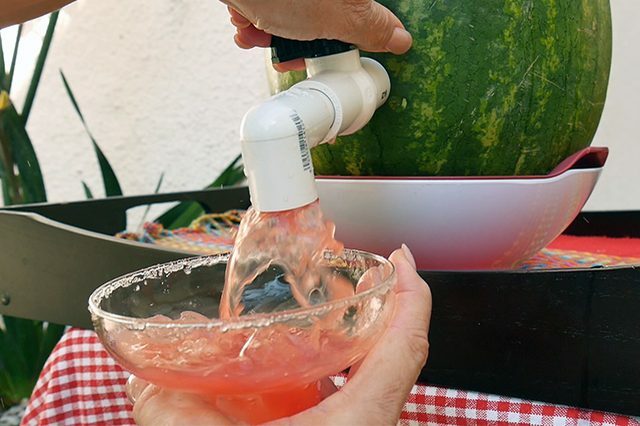 Altogether wash a piece of specialty froth, and afterward follow the perimeter of a bit of the 3/4 inch pipe onto it. 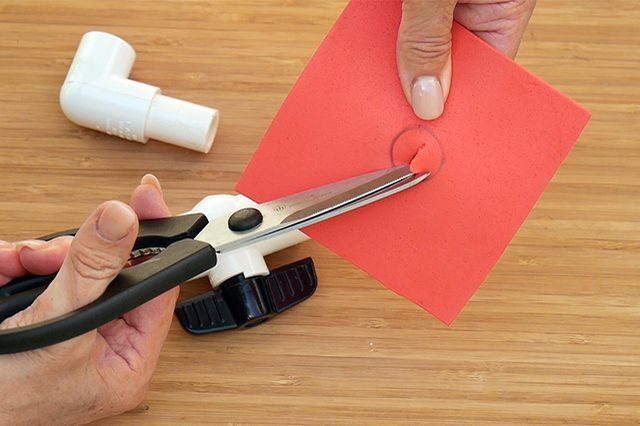 Cut out the specialty froth around 1/8 inch inside the stamped line and put aside. 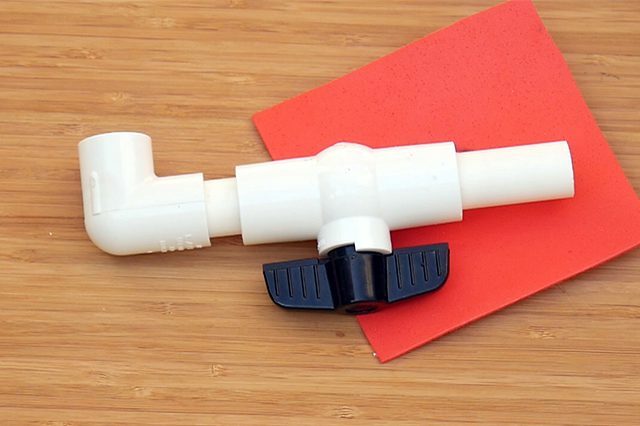 Interface the 90 degree elbow to the ball valve with one of the short bits of PVC pipe. 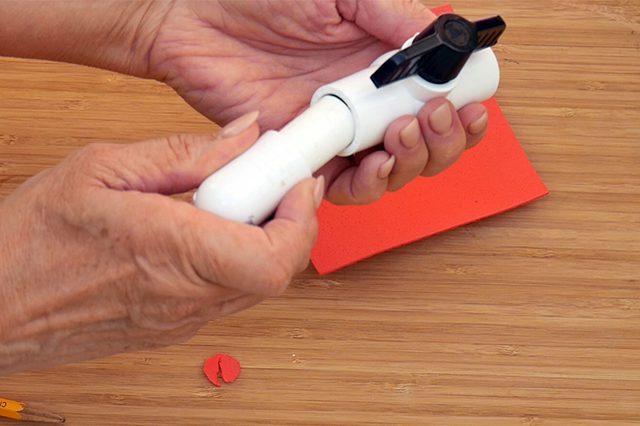 Append the second bit of pipe to the inverse side of the valve. 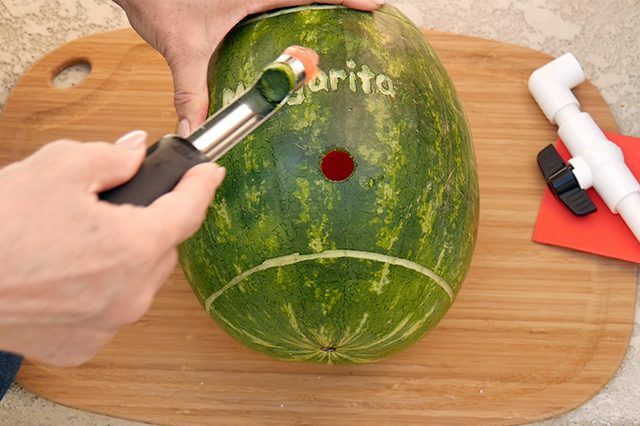 Place the watermelon on its side and utilize an apple corer to cut a gap focused along the cutting. Embed the tap get together through the gap. 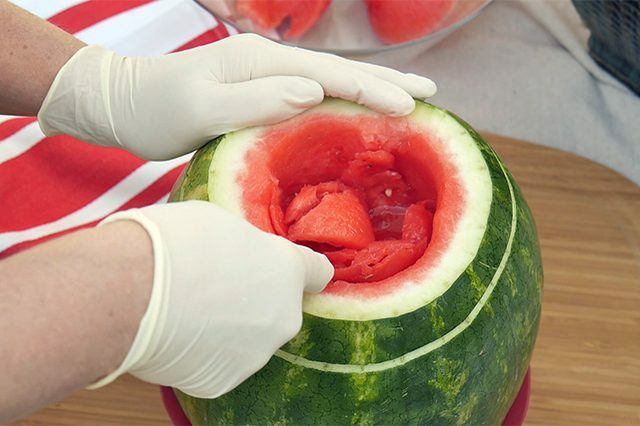 Place the froth over the pipe within the watermelon and push it up tight against the side. 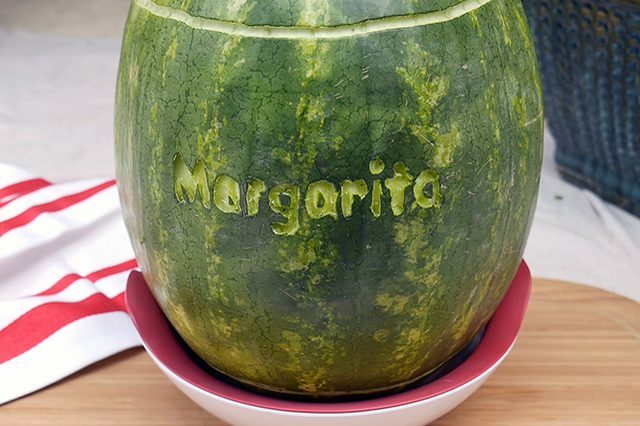 Pour in your most loved refreshment. 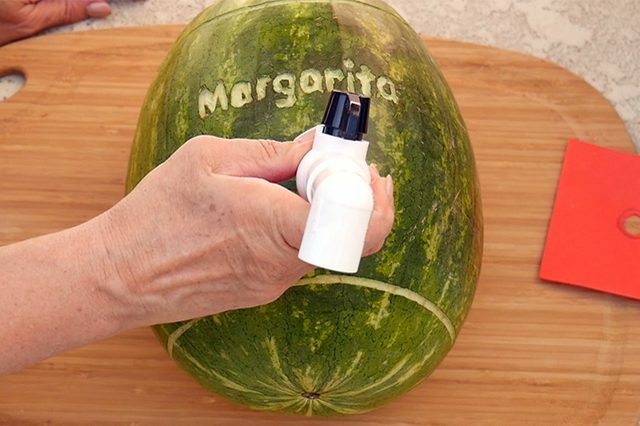 We lean toward watermelon margaritas, and you can locate a simple formula here. 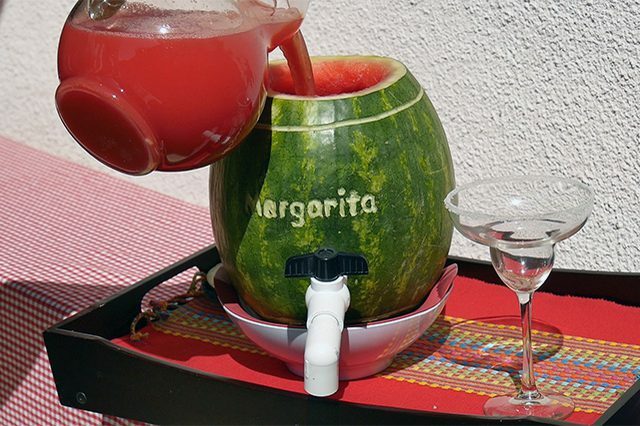 Supplant the highest point of watermelon. 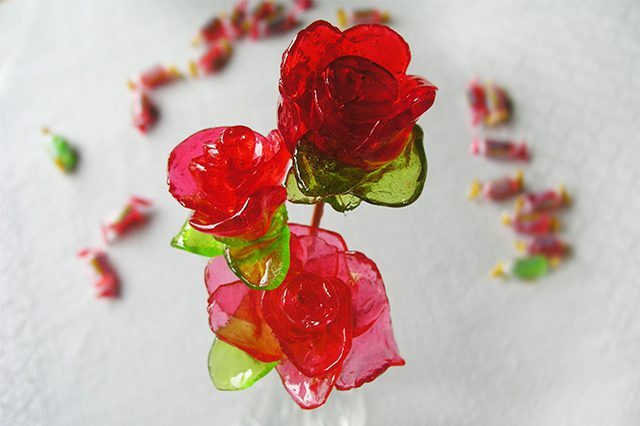 Serve your most loved refreshment and appreciate the gathering!